You would think that the markets have been through the greatest rally of all time, and the biggest crash – all over the past 2 ½ months from the way the news has been reporting on the market. Of course heading into the home stretch of a fairly contentious Presidential election doesn’t do much too calm things either. Not to minimize the importance of global events, but the U.S. stock market is a reflection of the U.S. economy. We all already know about the fiscal cliff. Earnings expectations are low for the third quarter. Economic data has been “mixed” for months. So with all of this priced in, where exactly do the markets stand? The chart below in Figure 1, was a bit of an eye opener to me. 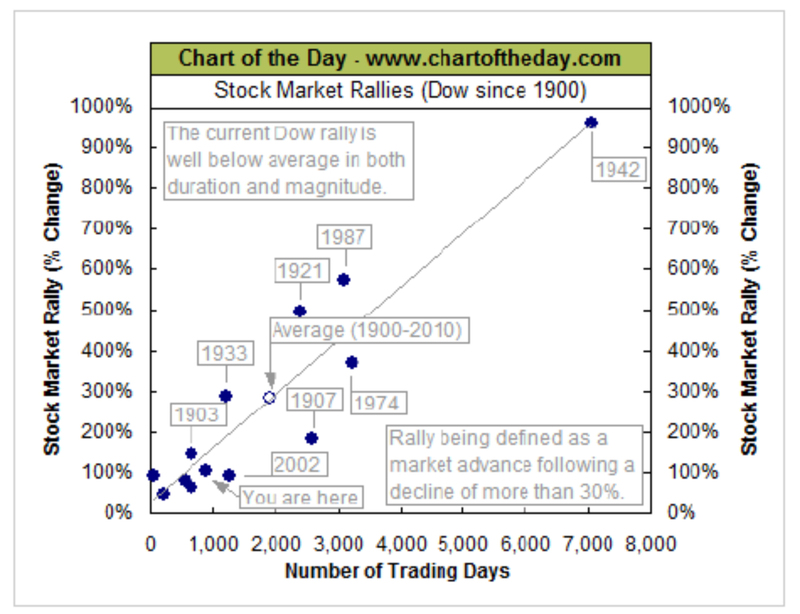 The graph shows the total return for each market rally – post a 30% or more market decline, since 1900. The “You Are Here” dot is in the bottom left. So on a long term horizon, the post-financial crisis rally has barely started. However, just to the right, is the “2002 blue dot.” Which shows that, by comparison, if this is another bear market rally the market could well be at an intermediate top. For perspective I find it best to look out over the longer term and then narrow the time frame. One of my favorite charts of all time comes from crestmontresearch.com. In Figure 2 below, Crestmont does a wonderful job of breaking the market down into bull and bear cycles. Clearly the market moves up in spurts, (secular bull markets), and sideways (secular bear markets), for extended periods of time. From this perspective the secular bear that started in 2000 is painfully obvious. It’s also hard to define the current market as in either a bull or bear phase. Yes, we’ve had a four year rally, but hardly to levels you could define as “high”. 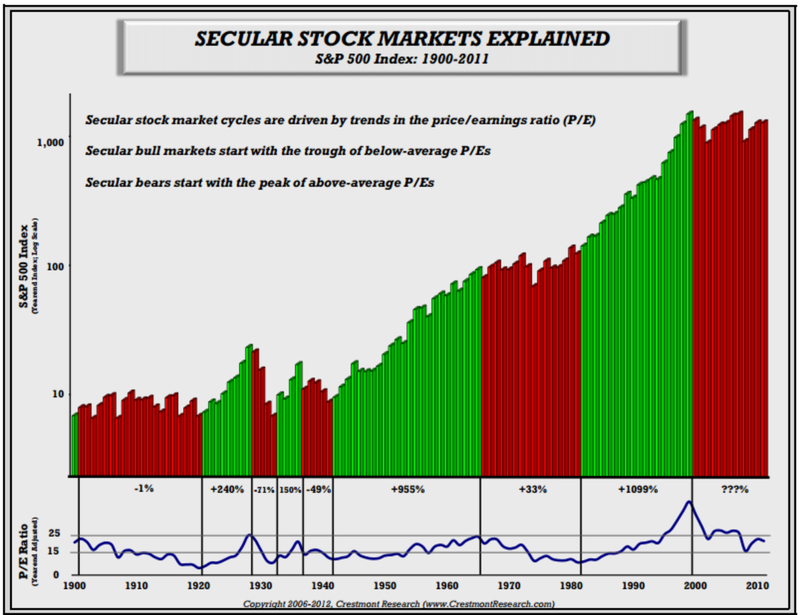 In terms of time, it would be prudent to start anticipating a return to a secular bull, but both the 1902 and 1965 Bear markets lasted longer – 18 years and 15 years respectively. Zooming in on the past decade simply confirms Figure 1 and 2. And finally let’s zoom in on a closer look. 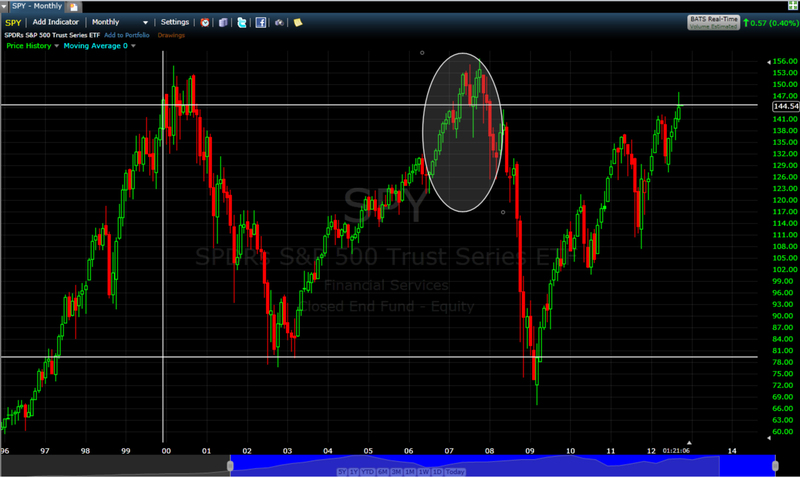 Figure 4 is a year to date look at SPY. While the current level seems “high,” again looking at Figures 1-3 all we can say is the market has had a decent recent run, but there is nothing here to say whether the market is “high” or the rally is getting overextended after just 3 months. In April – May of this year you had a solid double top before the market gave way into the early summer. Double tops are one of those technical formations that do tend to be significant – if only because everyone expects them to be. To the right I’ve highlighted the recent high with a horizontal line. The highlighted area also contains a continuation of the current trend line. Ideally the market breaks through the horizontal line, and peaks, no earlier than, the rising line around the point of the green arrow, before we start seeing a bit of a correction. 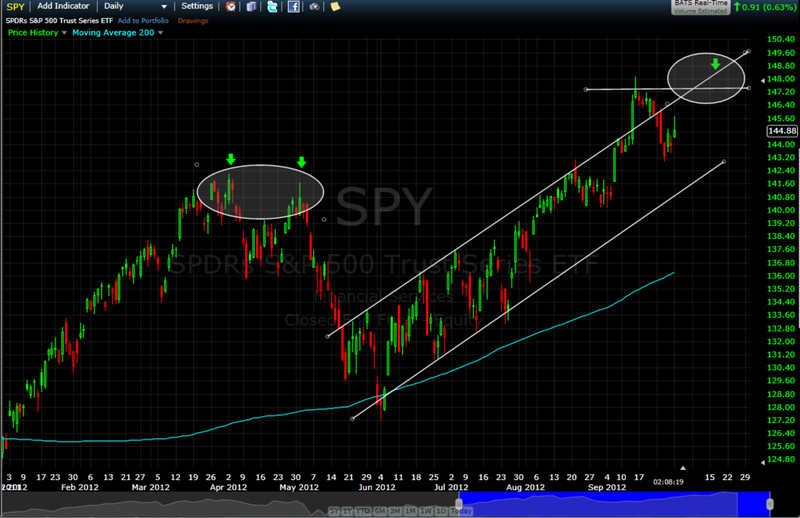 This would indicate a significant break through resistance and avoiding the double top. An alternative is that the market hits the horizontal line and falls. This will immediately bring warnings of a sell off from the media – citing the double top in April – May. Looking at the channel formed by the rising lines, the market is in a definite bull trend. The fact that the last two bottoms were well above the bottom support line is very bullish. How it reacts to resistance at 147.50 will be interesting. A drop should only be to 143.30, before a pause and re-assessment. The 200 Day Moving Average is in Blue. The first sign that a sell off will be significant will typically be when the 200 SMA begins to slope down – that is a long way away; currently 136.38. The last candle on the chart (Monday 10/1/2012, 2:30pm), is a negative formation. If the market doesn’t rally into the close, we could be testing support (bottom rising line) before we test resistance. While October is historically volatile, the fourth quarter is historically strong in election years. Despite what I would consider to be horrible news in the mid-East and Europe, reasonably bad news from China and Japan, and decidedly contradictory news in the U.S., this appears to be a market that really wants to go higher. Even the bears have to admit that with recent news and data, this market really could (or should) be much lower. P/E ratio is stuck at “average”. While bull markets tend to originate from single digit P/E’s, Bear markets start at P/E’s closer to 20 than 10. According to http://www.wsj.com the trailing S&P 500 P/E is 16.77 and forward P/E is 13.98. Considering the Fed has pledged a zero interest policy through 2013, or until unemployment is at “acceptable” levels, a P/E closer to 20 is justified using a discounted earnings calculation. Don’t discount the distortions caused by Fed intervention. Earnings expectations for the third quarter are low. Contraction across most sectors is expected. It’s easier to beat low expectations than high ones. The negatives: virtually all things macro and political. 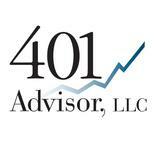 For our Growth strategies we have moved into out seasonally strong, higher beta portfolio. If October becomes too dicey I can sell our two most liquid ETF’s (IWO and IWP) and go short (SH) to hedge the portfolio. With two of ten holdings being GDX (Gold Miners Index) and UNG (Natural Gas Index), we’d then have a very low correlation to the market if I do need to hedge. But for now I’m in the bullish camp through the end of the year. Ditto for our Dividend strategies, I’ve moved into more aggressive and higher yielding names. Again with selling of just two securities I can hedge the portfolio by buying SH. Even with 5% cash and 20% in non-yielding SH the portfolio will have a 4.5% dividend yield to coast through trouble. But if the market behaves itself in October, we should be set through the end of the year. Positioned for a continuation of the rally, but ready to hedge if fundamentals become too strong of a drag. I need evidence from the market before I get Bearish.